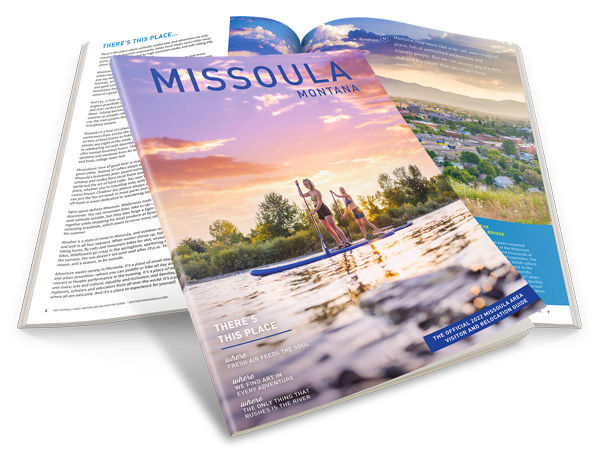 A Carousel for Missoula is one of the first fully hand-carved carousels to be built in the United States since the Great Depression. From little more than dreams, hard work and love, a carousel was created by hundreds of volunteers. The Carousel has 38 horses and two chariots. The chariots allow easy access for wheelchairs; people with disabilities are always welcome to ride free on the Carousel. Between August of 1991, when the Carousel project went from being one man's dream to become a community project, until its grand opening on May 27, 1995, over 100,000 hours of volunteer time were dedicated to carving, sanding, painting, creating stainglass windows, restoring an antique carousel frame, organizing and fund raising. 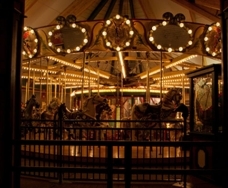 The Carousel sits in a circular enclosure surrounded by roll up doors. In fine weather, the doors are open so riders can enjoy all Caras Park has to offer. In inclement weather the doors are down and the Carousel is heated. 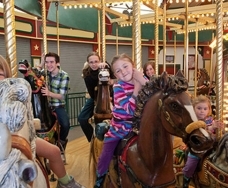 The Carousel is open daily, year-round. The Carousel's restoration shop is used to restore or repair the Carousel's own ponies and ponies for other carousels, and to build new ponies for carousels-in-the-making and other not-for-profits. The Carousel's band organ is the largest band organ in continuous use in the United States. Its' 400 square wooden pipes make the music of 23 instruments and 45 musicians. In the spring of 2001 over 4,000 volunteers gathered to build a play area next to the Carousel. In just nine days a magical play land was created, complete with a three-headed dragon, numerous slides (one over 25 feet tall), musical instruments, an obstacle course and a variety of kid-created artwork. The Carousel and Dragon Hollow are terrific venues for birthday parties and the Carousel can be rented before or after operating hours for private use.